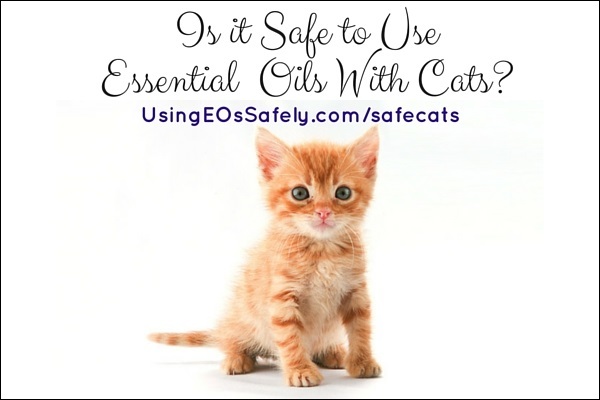 Is it Safe to Use Essential Oils With Cats? We get asked almost daily in our safety group about using essential oils with pets (usually cats and dogs). Because the usage information for cats and dogs is not the same, I have split the information in two posts: this one for cats, and that one for dogs. It has been recommended that if you decide to diffuse around your cats that you leave the door open and allow them to leave. Unfortunately, some cats don't leave, and some safety group members have reported having to put their cats down due to liver failure, even after just a couple of weeks of diffusing. Cats simply are unable to metabolize essential oils due to the lack of glucuronyl transferase, a liver enzyme. I know, I know, some of you have been diffusing around your cats, and they are fine (so far). There are real risks, and it's up to you as the pet owner to decide if you want to risk diffusing around your cats or not. Ideally, diffuse in a room where your cat can't enter. If this won't work, then use a personal inhaler for yourself, so you don't have to expose your pet. Bottom line: I don't recommend exposing your cat(s) to essential oils, but the choice is ultimately up to you. Keep in mind inhalation intensity + inhalation duration + inhalation frequency = higher risk of adverse reactions. 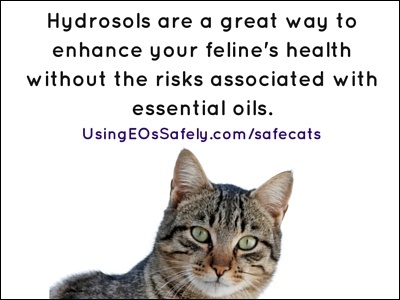 Hydrosols are a great way to enhance your feline's health without the risks associated with essential oils. They can be added by drops into their water bowl, and in some cases can be applied topically. I suggest looking at the resources listed at the bottom of this post for more information on usage. 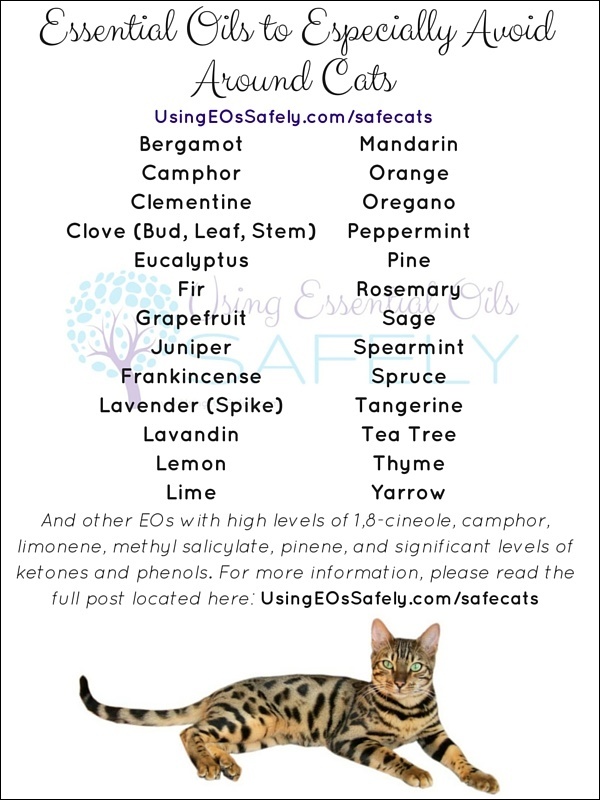 Although it is recommended that all essential oils be avoided with cats, there are some that are especially problematic due to high levels of 1,8-cineole, camphor, limonene, methyl salicylate, pinene, as well as essential oils with significant ketones and phenols. It goes without saying (but I am going to say it anyways) that the essential oils in the following lists should also be avoided: Essential Oils to Avoid Using Internally and Externally, Essential Oils and Cancer, and Essential Oils Which Inhibit Blood Clotting. 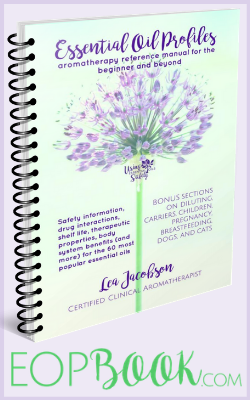 The following are highly respected references for using essential oils, all of which I own (books) or completed (courses): this book, and this one, and this free course. Please also read our post Is it Safe to Use Essential Oils With Dogs?